This post is sponsored by We Are Teachers and their partner Digital Promise. All ideas and thoughts are mine. Data, when used in telling a school’s story, helps to paint an image in the minds of those receiving the message. From test scores to computer use, educators and administrators alike rely heavily on statistical information to help make decisions, target funding and share their school’s story with all stakeholders. While test scores or computer use may vary to the extreme ends of the spectrum, one thing that is on the rise for almost all schools is the number of English Learners (ELs) in the K-12 student population. In fact, according to US Department of Education, over 4,800,000 ELs were enrolled in schools between 2014-2015. From interactive charts to maps, Our Nation’s English Learners offers a multitude of stories about the students we serve across the nation. Much of the information may come as no surprise to teachers in the trenches supporting English Learners in their classrooms, but what does plague the minds of many of these same educators is how best to support ELs and what best resources and learning opportunities are available to hone their own craft while their student population changes. I have recently begun a series of posts on this matter and its intersection in literacy teaching. You can read my first post Here. This post offers how all teachers can model language learning by using these 5 techniques as well as an extension to your own learning through micro credentials offered by Digital Promise. First, all teachers, no matter grade or content area, can apply simple techniques in the form of modeling and instruction to support students in the classroom, especially ELs. Model. Speak clearly and calmly. Use a constant and predictable speech pattern while utilizing repetition and visuals of important words and phrases. This helps to cue students into recognizing cues while listening or viewing that is important to their academic discourse. Discuss. Unless a beginning language acquisition student, give all students opportunities to talk, read and write during teaching. Encourage participation through carefully selected groups, partnerships, scaffolding, etc. Language learning should involve active learning. The more students are thinking about ideas, wrestling with texts, and using each other to co-construct meaning the more powerful the understanding of the content and language. Vocabulary. All learning is partially done via words. If students do not understand the vocabulary they have problems accessing the material. In addition, ELs have to learn a new language on top of the content. Teachers should preview material and pull out vocabulary to focus on with all students. Choose words that are conceptual and topical, ones that appear frequently, or are essential for continued learning. (If you are looking for more vocabulary information check out my post here). Differentiate. Along with previewing material for vocabulary instruction, identify ways to differentiate material based on student needs, interests, and multiple learning styles. Consider difficult passages or concepts that may need to be anchored to an ELs previous background or experiences. Present material in multiple modes, audio, visual, multimedia, and provide access and choice to ELs based on needs and preference. Eliminate confusion by ELs by connecting the topics studied to content that is relevant and engaging. Support. Remember that every lesson is not only focused on content but also an opportunity to be a language lesson for ELs. Provide multiple opportunities to practice words and sentence structures or grammar usage. Encourage support from peers and other partnerships that can be fostered to help ensure success. Use the home language for difficult concepts or abstract topics but avoid constant translation by adults or other children who speak the EL’s home language. While all teachers may not feel equipped to teach language to our growing EL population, there are many quick-wins that all educators can start doing immediately to model and promote language learning in their classroom. Second, educators can continue their own professional learning through connecting with and learning from a variety of supports. Connecting through social media avenues, book studies with colleagues, and one of my favorites, the learning available through Digital Promise. 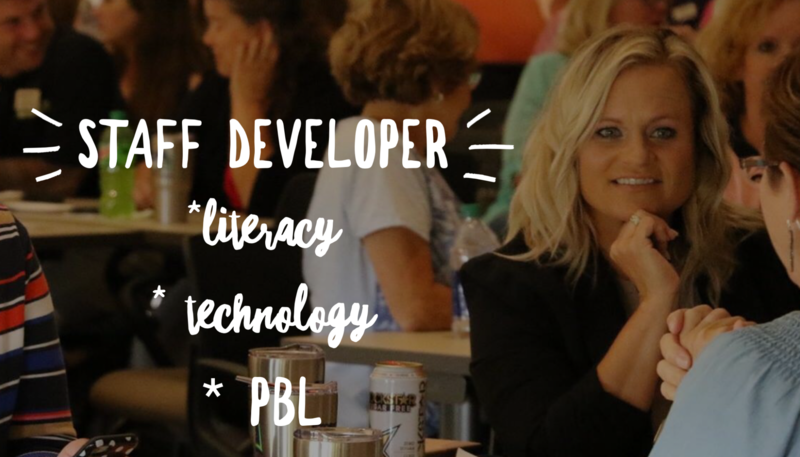 Digital Promise has built an innovative system of micro-credentials to recognize educators for the skills they learn throughout their careers in order to craft powerful learning experiences for their students. As student populations across the country continue to change, the more information, resources, and learning opportunities for educators will provide the best learning for our EL students. Educators need to continue to invest in their own training and understanding on how best to support all students. We can all be models of language learning each day in our classrooms!